According to a report, Linamar CEO Linda Hasenfratz said Linamar has the potential to supply $2,000 worth of parts on every electric vehicle. Even in the chaotic automotive world, 2016 was especially hectic for Canada. Down-to-the-wire Unifor contract talks. Record sales. Massive safety recalls. The election of a U.S. president who appears bent on reopening NAFTA. Automotive News Canada has been following these stories and the people behind them, and now it’s time to reveal the newsmakers of 2016. INDUSTRY LEADER: LINDA HASENFRATZ, Linamar Corp. Most Canadian business leaders are taking a worry-and-wait approach to President Donald Trump and his vow to renegotiate the North American Free Trade Agreement (NAFTA). Not Linda Hasenfratz. 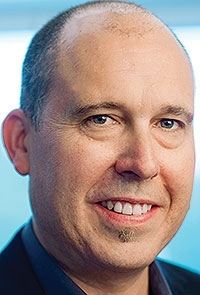 The chief executive of Linamar Corp., Canada’s second-largest auto parts company, reached out to the president-elect via an open letter in Automotive News Canada’s December issue outlining the benefits of an “interwoven” U.S.-Canada auto industry and the key contribution of Mexico’s aluminum-casting industry to North America’s competitiveness. Of course, such a reasoned stance is entirely in keeping with the forward-thinking Hasenfratz, 50. 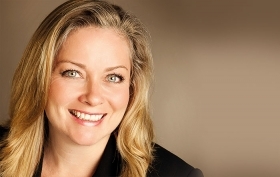 Since taking over from her father and founder Frank Hasenfratz in 2002, has tripled the Guelph, Ont.-headquartered company’s sales through expansion and acquisitions. Linamar, a leader in casting and machining as well as aerial-work platforms, has 23,000 employees around the world and a market value of $3.9 billion. If 2016 is ever recorded as a turning point for Canada’s auto industry, look for Jerry Dias’s name in the entries. 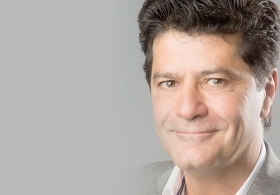 The 58-year-old Unifor leader stared down the Detroit Three in contract negotiations, securing $1.6 billion of new spending plus reprieves, even if temporary, for at least two auto plants. Dias hopes the deals, achieved without strikes, will signal a turn-around. Others fear they only slowed the bleeding in a sector that has been shedding jobs for two decades. Regardless, the man described as a “brilliant strategist” achieved what few in business, government and labour circles thought possible. Other dealership groups might view a stock offering as a step to growth. Not the Dilawri Group, Canada’s largest with 60 stores. 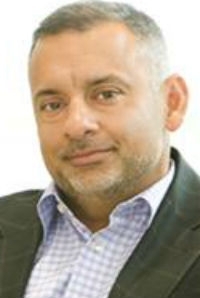 Instead, principals Ajay, Kap and Tony Dilawri, pictured, are tapping into public investment through their Automotive Properties Real Estate Investment Trust (REIT), a $126-million fund meant to unlock the land value of dealerships within and outside the Dilawri fold. In its first full year, the REIT acquired prime Mercedes-Benz, Porsche, Audi and Volkswagen properties in Toronto and Montreal. As Ajay told an interviewer in 2014, “There is no need to go public. Our advantage is in our corporate vision.” Central to that vision, we know now, was a REIT. In most crashes, the back seat is the safer place to be. So why, wondered Transport Canada researcher Suzanne Tylko, do rear passengers sometimes fare worse than front occupants? A crash in Nova Scotia provided one answer, but only after exhaustive research that included buying a GMC Sierra and a Toyota RAV4 and re-enacting the wreck that killed two people. The cause, Tylko and her colleagues discovered, was a seat-frame design that could sever seat-belts on impact. In February, Toyota recalled nearly three million RAV4s, the largest-ever recall resulting from Canadian research. Transport Minister Marc Garneau said Tylko’s team “may have helped to save some lives.” That’s a safe bet. John Wall didn't envision being at QNX. Al he knew is that he loved software. Complexity – not lack of interest – explains why no one applied for months after Ontario approved public testing of self-driving vehicles. The province is now home to three efforts to bring autonomous cars closer to reality. The University of Waterloo is testing two modified Lincolns, while European RV specialist Erwin Hymer Group – which last March acquired Canada’s Roadtrek Motorhomes – has a technology-filled Mercedes-Benz van. Large in name, even larger in life, the powerlifting chief executive of FCA Canada and sales head for FCA in the United States has long been known as Fiat Chrysler boss Sergio Marchionne’s top troubleshooter. And trouble was in plentiful supply in 2016. 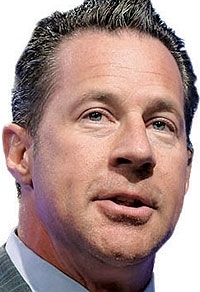 Just weeks after being given added responsibility for struggling Maserati and Alfa Romeo, the 49-year-old Bigland found himself dealing with government probes into now-adjusted sales figures. Then came a Bloomberg report that he could personally face charges over FCA’s reporting practices. Daunting to be sure, but as all who have met Bigland know, he’s good at solving problems. Call it shock treatment. While Ontario and British Columbia look to incentives to spur adoption of so-called zero-emission vehicles and the other provinces vacillate, Quebec is making it law. By 2020, 15.5 per cent of new vehicles sold or leased in the province must be ZEVs. Environment Minister Heurtel, whose government ride is a Ford Fusion Energi plug-in hybrid, is the force behind the mandate. “We just approved one of the toughest laws in North America,” he said when the bill passed in October. A lawyer and businessman before entering politics, Heurtel sees a dual payoff from the quota: reduced greenhouse-gas emissions and a boost to innovation. Size doesn’t equal stature. 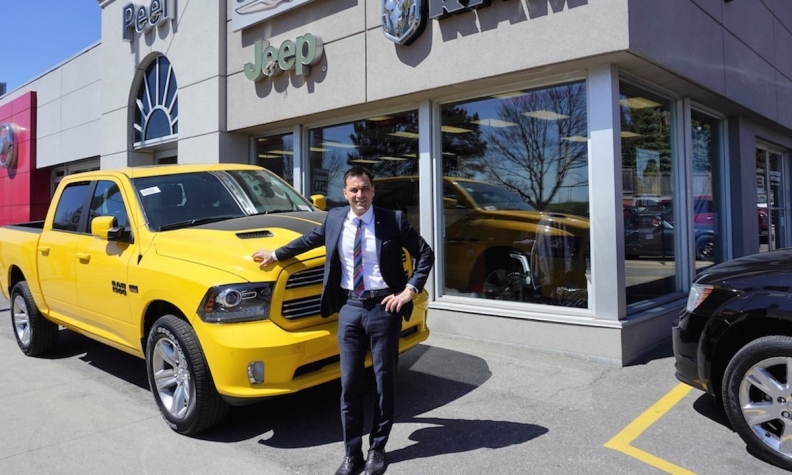 Just ask Danny Diamantakos, dealer principal at tiny Peel Chrysler Fiat in the Greater Toronto Area’s western reaches. Already FCA Canada’s top retailer, Peel chalked up 2,500 new retail sales in 2016, a 25-per-cent jump. To drive such volume from a two-car showroom – three if the third is a tiny Fiat 500 – Peel goes heavy on phone and Internet sales, always stressing the benefits of low over-head. The slogan: Nobody beats a deal from Peel! Maria Stenström makes this list not for what she did, but what she didn’t. Throughout 2016, during the worst crisis in VW history, Stenström, resolutely avoided interviews and limited her public pronouncements, issuing only a terse statement in December after Volkswagen agreed to a $2.1-billion settlement with owners of 2.0-litre diesel VWs and Audis. For the record, she thinks the deal treats customers fairly. Stenström’s silence, of course, might be dictated by head office. Still, U.S. counterpart Hinrich Woebcken has been less reticent, chatting up the media about the electric-vehicle plans VW hopes will help the public forget about its emissions scandal. MANUFACTURING: LARRY HOLT, Multimatic Inc.
Larry Holt was already well known in racing and engineering circles, and not just for his ready grin and cascade of grey curls. Now the car-builder extraordinaire is earning wider acclaim for his role as head of Multimatic Inc.’s motorsports arm in building the Ford’s halo car, the GT. Holt’s acumen in parts design and materials – particularly in carbon fibre – was key in Ford’s decision to entrust the Markham, Ont., supplier and custom-builder Multimatic with its US $450,000 supercar. Visitors to Magna International’s booth at January’s CES show in Las Vegas, Nev., received “a glimpse of the future” via holograms showcasing next-stage vehicle technology. Also visible? The emergence of the giant supplier as high-tech innovator. From continuous-feedback sensors in the car seats that are a core Magna business, to more esoteric ventures such as developing LiDAR (light and distance) sensing systems for vehicle platooning, technology is everywhere at the $22-billion company founded in Canada in the 1950s.